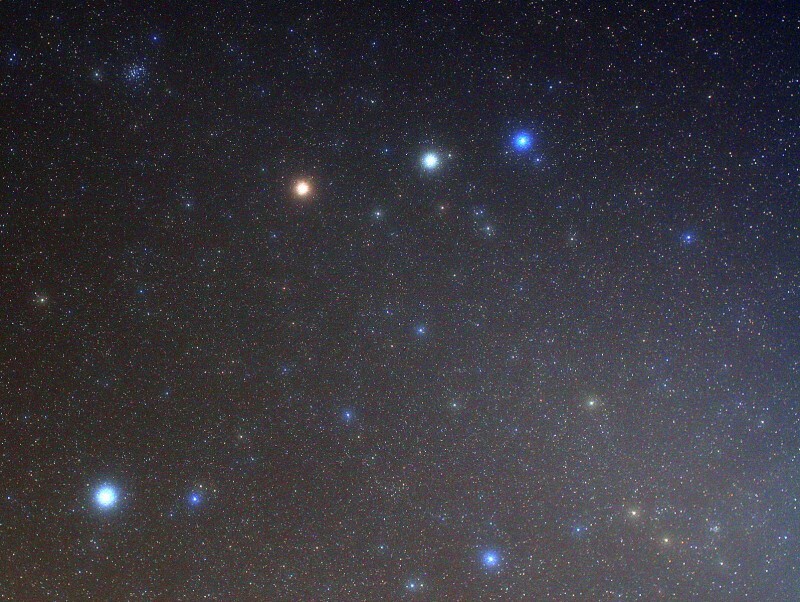 Explanation: Wandering through the evening sky, on May 4th planet Mars stood in line with Castor and Pollux, the two bright stars of the constellation Gemini. 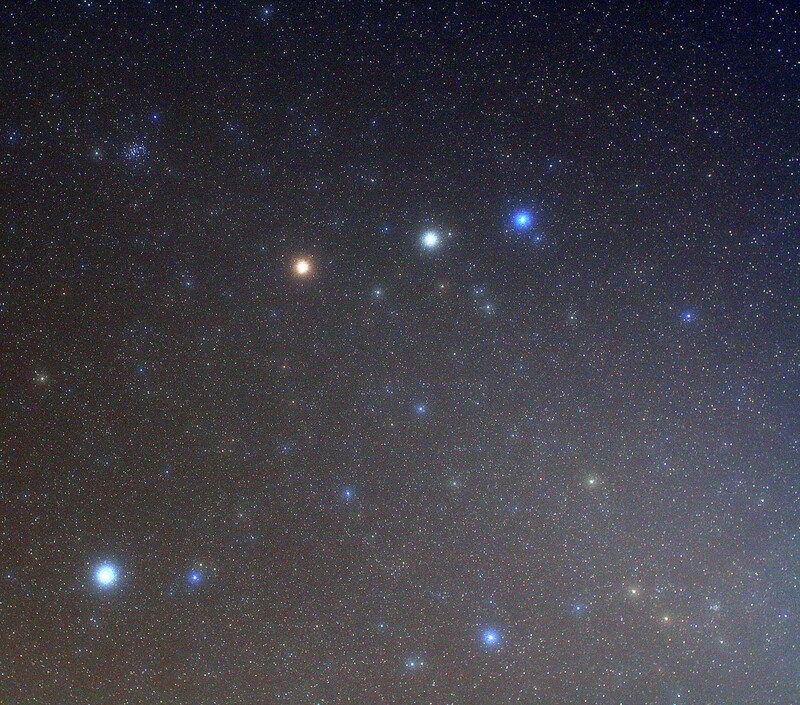 In this time exposure of the celestial alignment, Mars actually takes on a distinct yellowish hue, contrasting in color with Pollux; a giant star known to have a Jupiter-class planet, and Castor; itself a multiple star system. Though in mythology Pollux and Castor are twin brothers, the two stars are physically unrelated and are about 34 and 50 light-years distant respectively. Included in the skyview are Procyon, alpha star of Canis Minor, and famous star cluster M44 also known as the Beehive Cluster. Dust in our own solar system reflecting sunlight creates the faint band of Zodiacal light emerging from the lower right corner of the frame. Just put your cursor over the picture for help with identifications. Of course, bright Mars can still be found in the western evening skies and tonight wanders near the crescent Moon.